People in Togo queue for the yellow fever vaccine, which is frequently in short supply. In 2014, Sanofi invested in a new production unit to double its capacity to manufacture the vaccine. Global shortages continue. The Index shows what vaccine companies are doing to ensure all children can be immunised, including in the poorest and most remote communities. 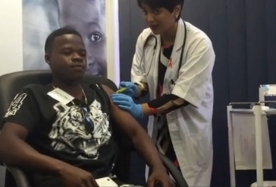 Companies are adapting existing vaccines for low-resource settings. 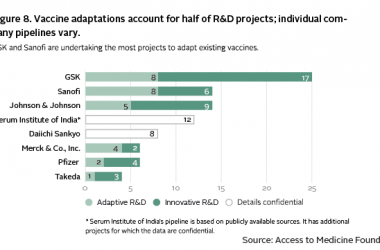 Adaptive projects account for 48% of projects in the pipeline, including many multivalent vaccines. 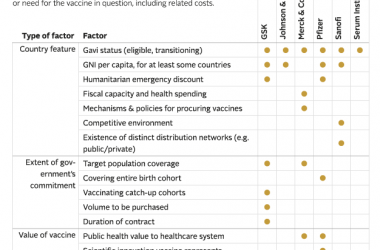 Collectively, the six companies consider 18 diverse factors when setting vaccine prices. Preventing a disease from ever occuring is always better than having the risk of getting a disease. Vaccines and proper hygiene are the two most effective ways to prevent infectious diseases. The 2017 Access to Vaccines Index finds a high level of diversity in how vaccine companies are improving access to vaccines for people living in poorer countries. For World AIDS Day 2016, the Foundation analysed pipelines for HIV/AIDS from 20 of the world’s largest pharmaceutical companies. Five medicines, as well as diagnostics and vaccines, are in the pipeline. The Access to Vaccines Index methodology was developed, with support from stakeholders and vaccine experts. Drawing on insights gathered from past research, and in response to stakeholder calls for deeper analysis, the Index focuses only on vaccines.